Brainomix is an award-winning medical diagnostics company we are currently working in partnership with. We helped them develop targeted email campaigns, video content as case studies for their technology, design elements, content marketing and website strategy. Brainomix has developed unique software that works with CT imaging to enable fast stroke diagnosis. 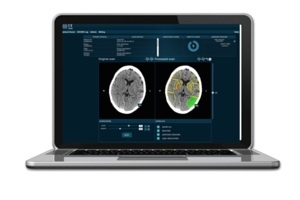 e-ASPECTS software saves time as it automatically applies the Alberta Stroke Programme Early CT Scores (ASPECTS) on scans, helping clinicians to identify the right life-saving intervention for stroke patients, like thrombectomy.